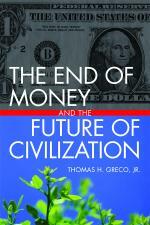 The global financial and economic crisis continues to deepen. Bankruptcies, unemployment, and home foreclosures are up, while incomes from wages, interest on savings, and investments are being squeezed. At the same time the money supply is being inflated by deficit spending to finance massive bank bailouts. A major increase in the cost of living will eventually follow. The bankers and politicians who caused the problem in the first place are asking the people to trust them and accept more of the same medicine. Their plea is essentially this: “Give us more power, give us more money, and let us further centralize an already over-centralized system.” A global central bank and an eventual single global currency are what they have in mind. A recent article by Paul Joseph Watson pretty clearly lays it out. This entry was posted in Banking, Geo-politics, Global Economy, The Political Money System and tagged global central bank, money power, single currency. Bookmark the permalink.